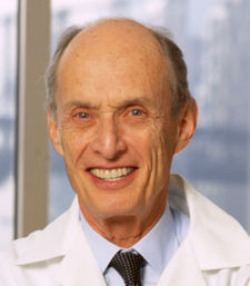 Paul Greengard (born December 11, 1925) is an American neuroscientist best known for his work on the molecular and cellular function of neurons. . He is currently Vincent Astor Professor at Rockefeller University. Greengard's research has focused on events inside the neuron caused by neurotransmitters. Specifically, Greengard and his fellow researchers studied the behavior of second messenger cascades that transform the docking of a neurotransmitter with a receptor into permanent changes in the neuron. In a series of experiments, Greengard and his colleagues showed that when dopamine interacts with a receptor on the cell membrane of a neuron, it causes an increase in cyclic AMP inside the cell. This increase of cyclic AMP, in turn activates a protein called protein kinase A, which turns the function other proteins on or off by adding phosphate groups in a reaction known as phosphorylation. The proteins activated by phosphorylation can then perform a number of changes in the cell: transcribing DNA to make new proteins, moving more receptors to the synapse (and thus increasing the neuron's sensitivity), or moving ion channels to the cell surface (and thus increasing the cell's excitability). He was awarded the Nobel Prize in 2000 "for showing how neurotransmitters act on the cell and can activate a central molecule known as DARPP-32".